Last month, I spent 4 days with the people of New Life Baptist Church. Its been a long time coming, but I wanted to–no–HAD to write about that time we shared together. And even as I type these words, I pray that they’re moving through what God did among us as we sought/seek that oft-elusive thing we call “Revival”. If you’d like to read what I wrote BEFORE those 4 days, click here. What must be said before I get into what we shared together in God’s Word is this one singular fact: the people of New Life Baptist Church simply want Jesus. They want Him proclaimed, they want Him exalted, they want Him in charge. And as simple as that sounds for me to say about a church, it is the most profound truth a collective body of believers can hold to. Their fellowship was intoxicating, their love for people was infectious, and their embrace of me as their “revival speaker” was humbling to say the very least. In a nutshell, I absolutely loved every moment I spent with them. When I am invited to speak somewhere (anywhere), I don’t go to the plethora of messages I have on file that I’ve delivered in the past. I don’t “recycle” messages like I know many wonderful speakers do. I go right to God and ask, “What do You want said to these people of Yours?” Over the months approaching this revival series at New Life Church, I clearly sensed God’s leading as I leaned in to hear what His heart wanted conveyed to the people He so desperately loves. In this message, we discussed what life ready for revival looks like. Namely, we considered 3 things: C.P.R. Contrite Heart: Contrite is a fancy word for “busted” and without being broken, we are of no use to God. This flies in the face of the statement I’ve heard so many people say so many times, “I’ve got to get my act together before I come to church/God.” No, you absolutely do not. Jesus Himself said He didn’t come for those who are well (no one is), but for those who KNOW they’re sick/broken and need a doctor! Prayerfulness: The people of New Life Baptist spent months in prayer for revival before I ever got there. I could have sang “Itsy Bitsy Spider” and played Tiddly Winks and they would have been blessed by God’s renewing and refreshing Spirit. Because as was said about me before my arrival, “He’s not bringing revival in his suitcase.” Revival is a result of earnestly seeking God, and that’s precisely what they did and are doing. We looked at 2 different instances from Jesus’ earthly ministry: when he healed the demoniac at the Geresenes (Mark 5) and his first recorded miracle (John 2) of turning water into wine. We came to see that while we might follow Jesus (as a disciple), are we believing who He really is? We learned from John 2 that Jesus had disciples who didn’t yet believe that He was the Messiah! How many of us are involved in churchy activities without truly turning our lives over to the One who stands as heaven’s Savior as well as humanity’s ransom? Is He a great idea or is He your intimate, in-control “Lord”? 3. 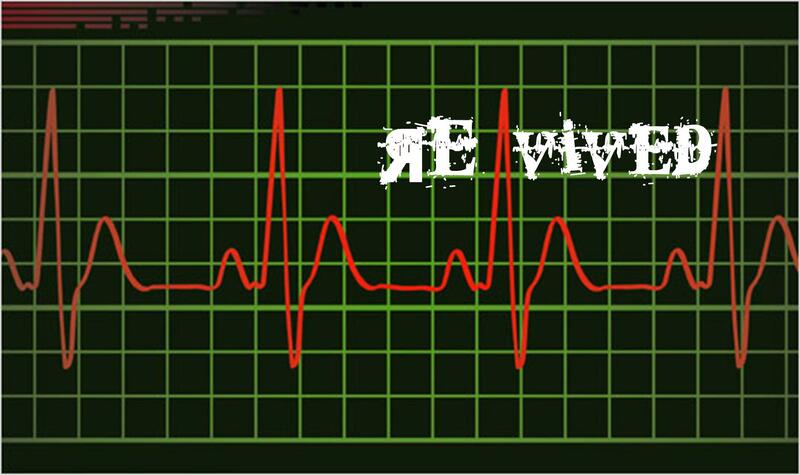 Revival comes from reigniting our passion for salvation. We exposed the popular doctrine that there is no literal hell; why its popular and why its anti-Scriptural. We considered the calling of Matthew (Levi) and just why Matthew was so quick to forfeit his tax-collecting, money-grubbing lifestyle and instead take up the sheer uncertainty of following a Rabbi named Jesus. I challenged those listening that “If you want revival, you can’t stay here.” And no matter where your “here” is, God wants to lead you on into what He has for you. But as slothful, lazy, and (let’s face it) disobedient children, we often would rather sink into our spiritual recliners. I shared an illustration from a conversation with my youngest daughter. I was having lunch with her one recent Friday when she was telling me about art class she had just come from. She was working on a painting of a lighthouse and told me, “Dad, my lighthouse isn’t like everybody else’s lighthouse.” Intrigued, I asked “Well, what’s different about your lighthouse?” She explained, “Well, MY lighthouse isn’t near the water like the others. Mine is in the hills with grass all around because I think that looks prettier.” Are we building churches and growing “Christians” that have chosen to live far from the dangers of the mission we’re called into? Are we lighthouses that serve no purpose because we’re not near the water, where the light we shine warns the world of the dangers of sin and hell? Too often we choose safety for us rather than salvation for the lost. 4. Revival comes when we reaffirm our God-given mission. As we closed our 4 days together, I simply challenged them to identify themselves as one of three things: a lighthouse, a treehouse, or a warehouse. As a lighthouse (as was mentioned the day before), we are willing to go to where the danger is, to where the help is needed, and shine the light of God’s love in practical, tangible, visible ways so that those around us might “see your good works and glorify your Father who is in heaven.” Some churches though would rather view themselves as a “treehouse”. When I was young, my cousin had a great treehouse in his backyard and we’d love to climb up in there to play with a “Us only!” attitude. Are we going to be a people who are safe and secluded from the world below, and have we adopted a “no girls allowed” mentality when it comes to who we reach out to, and who we don’t. Is our church more of a “members only” social club? And finally (and most ghastly), are we identified as a “warehouse”. We’ve been “saved” and we reckon ourselves as good-to-go when it comes to our eternity, but until then we’re just marking time as if life after receiving Christ becomes some waiting room while we literally do nothing until His return. If that’s the case for us, then Scripture is already clear about what the outcome will be. I closed with one of my favorite parables, the Sheep and the Goats. When in the end it was not what we believe that determines our eternity, but what we DID with what we believe. 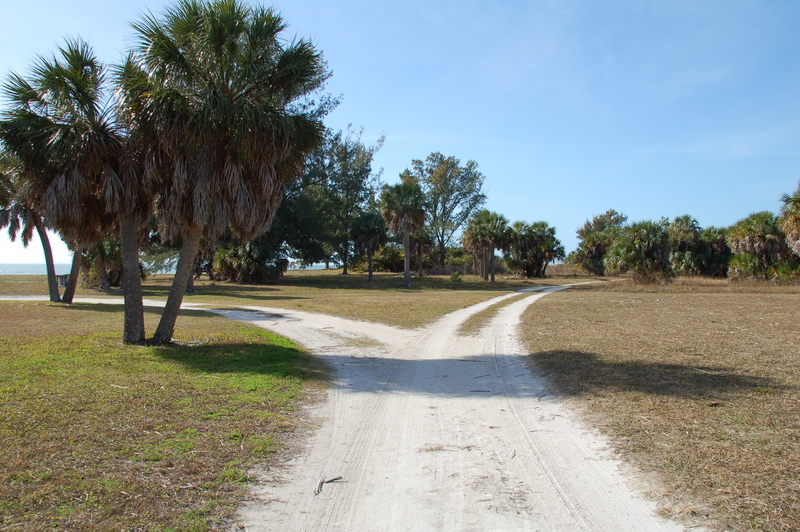 In this, they as a church and as individuals are faced with a “fork in the road”. Will they move toward being the lighthouse God has called them to, or circle back and enjoy the comfort of the tree house or the rigor mortis of the warehouse? I was honored and humbled to be a part of those few days at New Life Baptist Church and pray that not only them, but you and I would continually strive for a steady sense of “revival” as we walk hand-in-hand with our Creator, Savior, Messiah, and Lord! Still going on, dude! As our youth pastor said just last Sunday, “There’s a wonderful spirit here!” Amen! God is still moving! The mulberries are rustling with the Spirit!